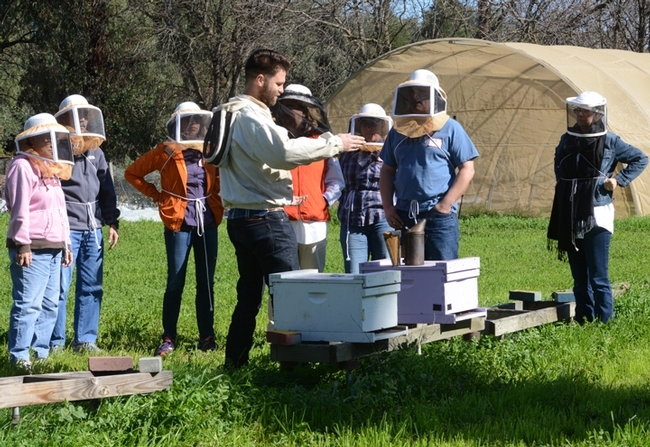 California Master Beekeeper Program Is All the Buzz! 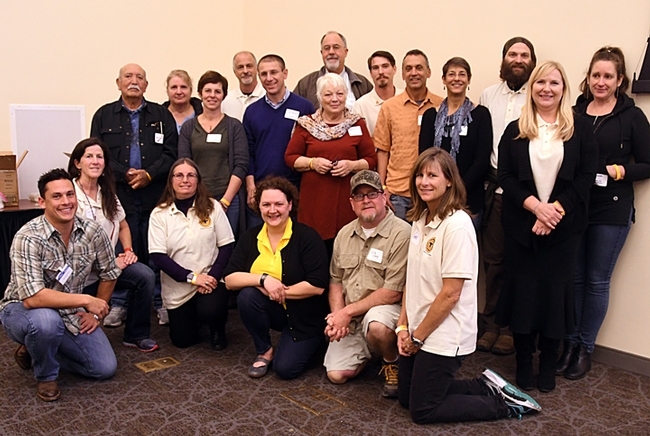 The California Master Beekeeper Program (CAMBP) is all the buzz. Extension apiculturist Elina Lastro Niño, director of the program, introduced the 40 new apprentice-level graduates, Class of 2017, at the fourth annual UC Davis Bee Symposium, held recently in the UC Davis Conference Center. The 40 Master Beekeepers join the 56 members of the Class of 2016. The program uses science-based information to educate stewards and ambassadors for honey bees and beekeeping. Members of the program serve as knowledgeable ambassadors who disseminate science-based information about the importance of honey bees, preserving bee health, and responsible beekeeping. The members of the Class of 2017 are Jesse Adcock, Heather Angeloff, Alyssa Beth Archambault, David Barbosa, Ornella Bonamassa, Max Boyce, Christopher Brennan, Cathy Carlson, Michael Conroy, Elisabeth Eschelbeck, Gerhard Eschelbeck, Yee-Yie Fogarty, Nanette Herbuveaux, Sandy Honigsberg, Russell Hudyma, Christine Jeffries, Nancy J. Johnson, Carolyn Jordan, Jesus Llamas, Meike Maag, Joel MacPherson, Shannon Marie Ciortea, Roberto Martinez, Jennifer Matthews, Cherry Mattias, Kourtney McGrath, Robert Meyer, Jeffrey Michaels, Chitra Mojtabai, Andres Molina, Holly Nelson, Sara Ramsey, Donald H. P. Sexton II, Rob Slay, Melody Wallace, Nicholas Wigle, Christine Wilson, John Winzler, German Yegorov, and Karen von Gargen. 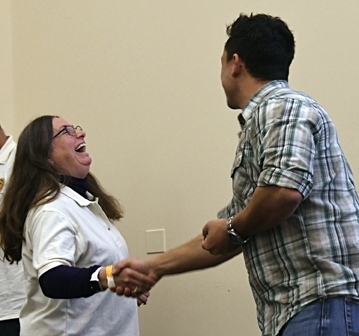 Extension apiculturist Elina Lastro Niño is the director of the California Master Beekeeper Program. Bernardo Niño, the founding program coordinator of CAMBP, congratulated the Class of 2017 and presented each with a pin. 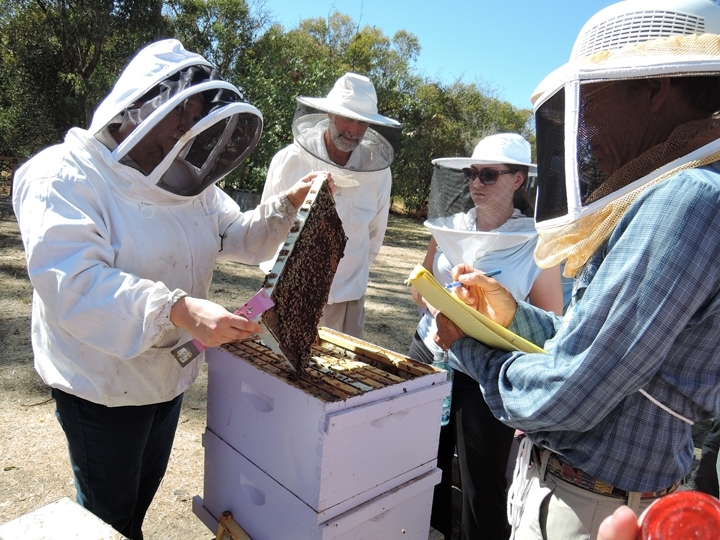 New program manager is Master Beekeeper Wendy Mather of El Dorado Hills. 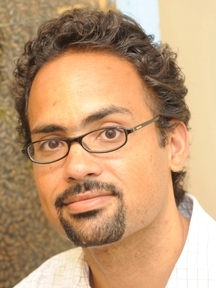 Bernardo Niño who recently accepted a position as head of bee research and development at UBEES Inc., an organization headquartered in New York City. 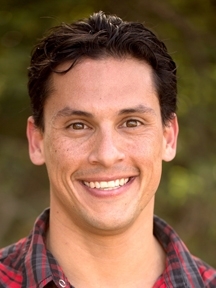 Bernardo will be based in Davis area. He will continue to work with CAMBP as the educational advisor. The new CAMBP website is online and located at https://cambp.ucdavis.edu. The apprentice level registration is now open, https://cambp.ucdavis.edu/levels/apprentice, and applications are due May 1. Those accepted into the program will be notified by June 1. CAMBP recently received a four-year UC ANR grant of $199,949. “We are expanding geographically to include the Fresno/Madera area (Shannon Mueller, Fresno County Extension director and agronomy farm advisor) and the San Diego area (James Bethke, farm advisor and Jennifer Pelham, area environmental horticulture advisor), said Elina Niño, the principal investigator of the grant, "The California Master Beekeeper Program: Development of a Continuous Train-the-Trainer Education Effort for California Beekeepers." "Colony losses have also prompted those who have never kept bees before to try their hand at beekeeping in an effort to help honey bee conservation," she pointed out. "Currently, in California there are an estimated 11,000 backyard and small-scale beekeepers, with many of them belonging to one of 35 beekeeper associations within the state. While these associations often serve as hubs of information transfer, the information provided is not always accurate or supported by research findings. Considering the importance of California to the US agriculture and the fact that almost 80 percent of the U.S. colonies start their pollination and honey production routes in almonds, it is clear that there is an urgent need to develop a comprehensive, science-based, and state-wide apiculture curriculum." 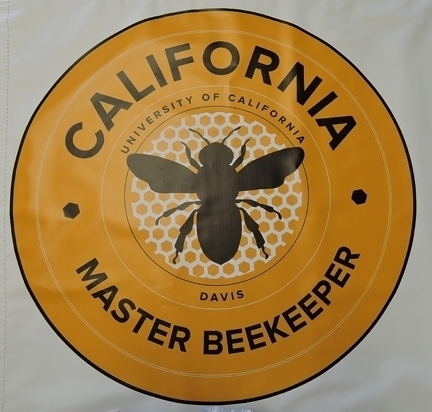 Overseeing the California Master Beekeeper Program is an advisory committee comprised of UC Cooperative Extension specialists and advisers, UC Davis Department of Entomology and Nematology research staff, UC Davis Honey and Pollination Center staff, California beekeepers, and other apiculture specialists. DAVIS--So you want to become a beekeeper…or you want to learn more about the bees you're keeping. “Queen Rearing Basics” on Friday, Oct. 20. 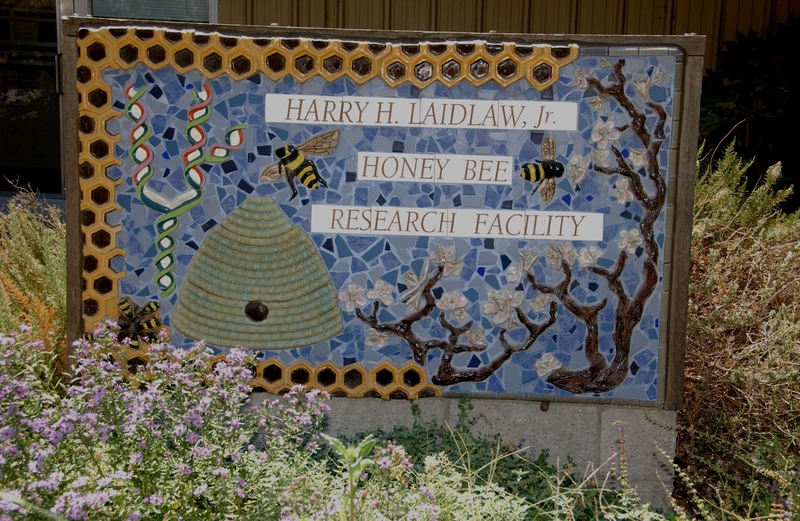 All are one-day short courses to be taught by Elina Niño and staff research associate Bernardo Niño from 9 a.m. to 4:30 p.m. in the Harry H. Laidlaw Jr. Honey Bee Research Facility, located on 1 Bee Biology Road, UC Davis. The site is located west of the central campus. Each course will be limited to 25 participants, who are asked to bring their own bee suit or veil, if they have one. The course modules will cover varroa biology, effect of varroa on honey bee colonies, non-chemical management, and chemical options. The practical modules will cover mite monitoring, treatment applications, data/record keeping and inspection of colonies for varroa. The $175 registration fee covers the cost of course materials, lunch and refreshments. Registration is underway at https:registration.ucdavis.edu/Item/Details/342. The last day to register is Wednesday, Sept. 20. Planning Ahead for Your First Hive, Saturday, Oct. 7: Participants will learn about and practice many aspects necessary to get their colony started and to keep it healthy and thriving. This course will include lectures and hands-on exercises. 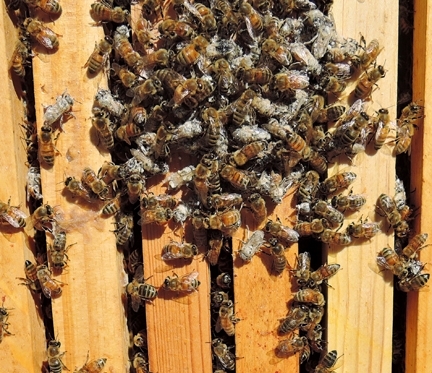 “It's perfect for those who have little or no beekeeping experience and would like to obtain more knowledge and practical skills to move on to the next step of owning and caring for their own honey bee colonies,” the Niño team said. At the end of the course, participants will be knowledgeable about installing honey bee packages, monitoring their own colonies and challenges that may occur while maintaining a healthy colony. Lecture modules will cover honey bee biology, beekeeping equipment, how to start your colony, and maladies of the hive. Practical modules will cover how to build a hive, how to install a package, how to insect your hive and how to monitor for varroa mites. Scheduled to assist with the course are lab members Charley Nye, manager of the Laidlaw facility, and graduate student Tricia Bohls. The $95 registration fee covers the cost of course materials (including a hive tool), lunch and refreshments. Registration is underway at https://registration.ucdavis.edu/Item/Details/314. The last day to register is Friday, Oct. 6. Queen-Rearing Basics, Friday, Oct. 20. 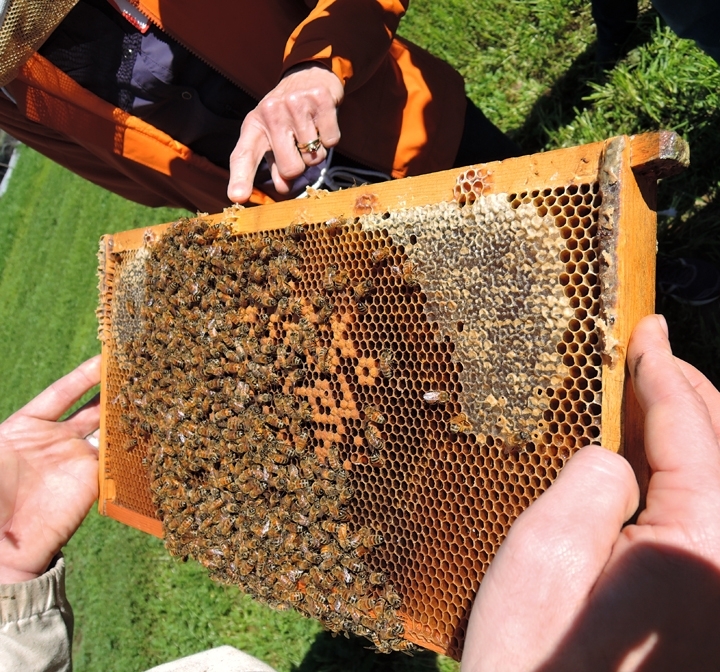 Participants will have an opportunity to learn about the theory behind the queen rearing strategies, and topics from basic queen biology to basics of breeding honey bees. “This course is perfect for those who want to learn more about the most important individual in their colonies or have been thinking about rearing the own queens, but might not feel ready to do hands-on exercise," the Niños said. Topics covered will include honey bee queen biology, ideal rearing conditions, various queen rearing techniques, mating new queens, installing new queens and basic breeding principles. The course is limited to those who have basic beekeeping experience. The $125 registration fee covers the cost of breakfast, lunch and refreshments. Registration is underway at https://registration.ucdavis.edu/Item/Details/341. The last day to register is Wednesday, Oct. 18. Elina Lastro Niño holds a doctorate in entomology from Pennsylvania State University and Bernardo Niño holds a master's degree in entomology from North Carolina State University. Through her extension activities, Elina Niño works to support beekeepers and the beekeeping industry. 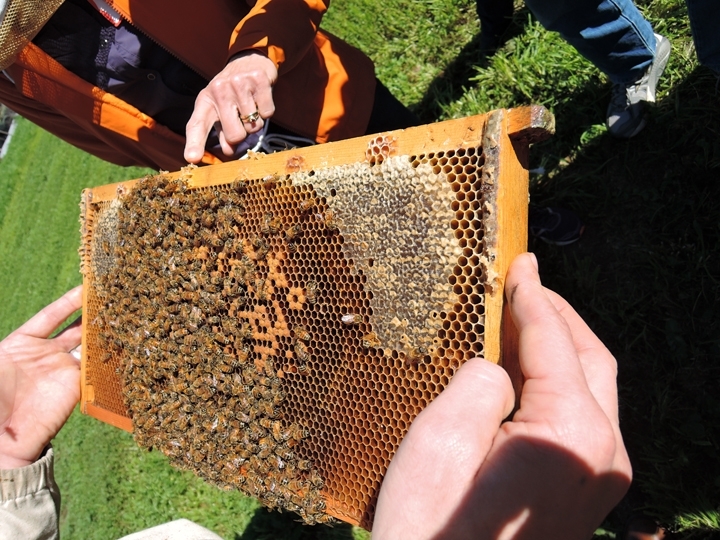 Her lab offers a variety of beekeeping courses and educational opportunities for beekeepers, future beekeepers, other agricultural professionals and the public. Most recently, her lab has implemented the first ever California Master Beekeeper Program. 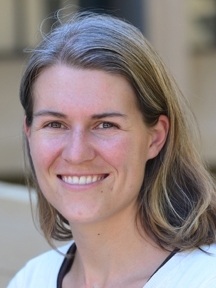 Her research interests encompass basic and applied approaches to understanding and improving honey bee health and particularly honey bee queen health. 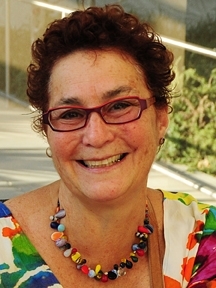 Ongoing research projects include understanding the synergistic effects of pesticides on queen health and adult workers in order to improve beekeeping management practice, testing novel biopesticides for efficacy against varroa mites, a major pest of bees, and understanding the benefits of supplemental forage in almond orchards on honey bee health. Bernardo Niño, whose master's degree involved the population and genetic colony structure of the Eastern subterranean termite, switched to honey bees eight years ago. 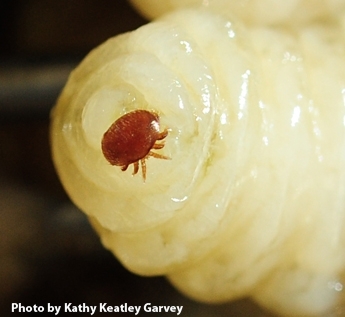 He now keeps “more than 130 colonies happily buzzing to accommodate the needs of all the researchers in the lab,” and leads projects on varroa control and honey bee health. 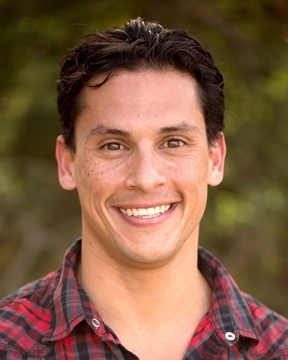 He has also developed a number of educational programs for diverse audiences and for the past seven years he has been involved with organizing and running queen rearing workshops and serving as the program supervisor of the California Master Beekeeper Program. Ten UC Davis faculty or staff who specialize in honey bees, native bees or affiliated topics will be among the 16-plus speakers at the 40th annual Western Apicultural Society (WAS) conference, to take place Sept. 5-8 in the Activities and Recreation Center (ARC), UC Davis campus. 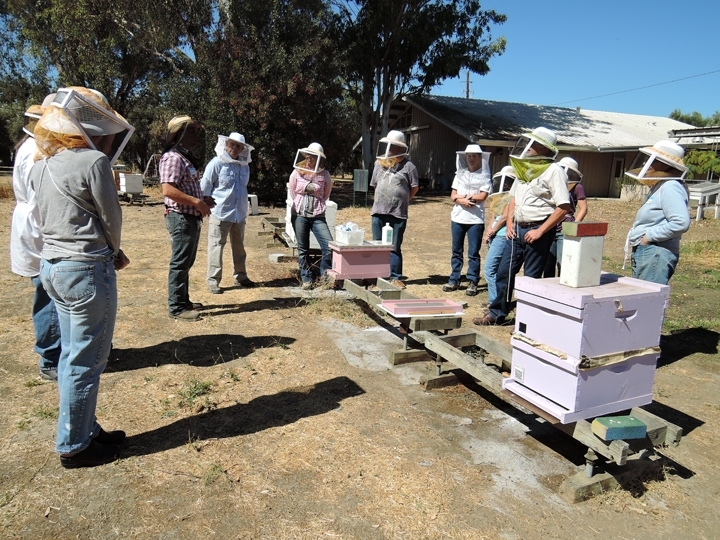 The non-profit educational organization, geared for small-scale beekeepers in the western United States, is headed by president Eric Mussen, Extension apiculturist emeritus, of UC Davis. "We're excited to have our UC Davis contingent--widely recognized for their varied expertise--join our speakers from all over the country and from Canada," Mussen said. WAS has already booked Kim Flottum of Medina, Ohio, editor of Bee Culture; Les Crowder of Austin, Texas, author of Top-Bar Beekeeping; Gene Brandi of Los Banos, president of the American Beekeeping Federation; Larry Connor of Kalamazoo, Mich., author and beekeeper; Rod Scarlett, executive director, Canadian Honey Council, and Slava Strogolov, chief executive officer of Strong Microbials Inc., Milwaukee. 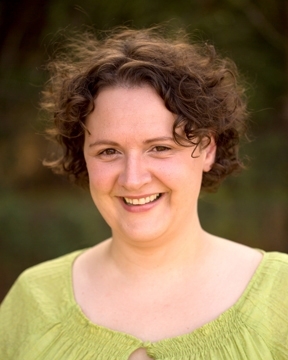 Extension apiculturist Elina Lastro Niño will speak on “Impact of Varroa on Honey Bee Reproductive Castes): Where Will the Research Lead Us?” at at 8:30 a.m. 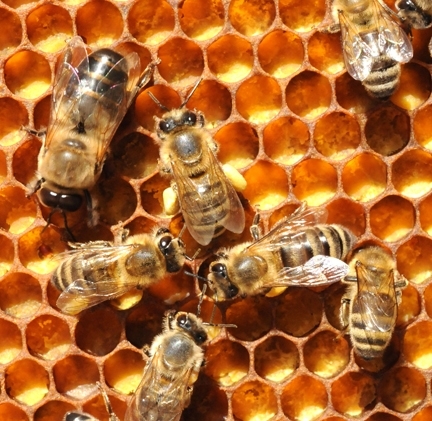 The three reproductive castes are the queen and worker bee (female), and drone (male). 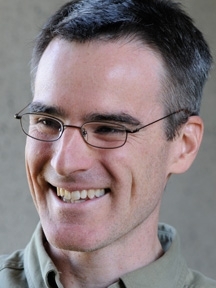 Associate professor Brian Johnson will speak on “Geographical Distribution of Africanized Bees in California” at 9 a.m., He will show “the results of a genotyping study of bees caught from across California showing the current distribution of Africanized Honey Bees in our state." 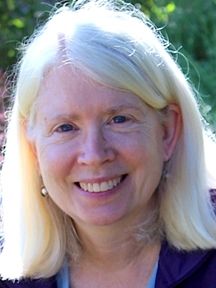 Distinguished emeritus professor Robbin Thorp, a native pollinator specialist, will discuss “Life Cycles of Commonly Encountered Native Bee Genera" at 10:30 a.m. 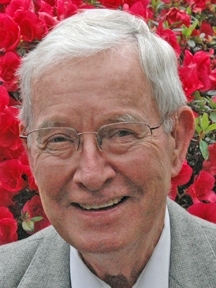 He is the co-author of Bumble Bees of North America: an Identification Guide and California Bees and Blooms: A Guide for Gardeners and Naturalists. 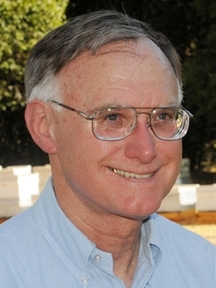 Professor Neal Williams, a pollination ecologist, will discuss “Known and Potential of Native Bees in Crop Pollination” at 11 a.m.
On Thursday afternoon, several UC Davis faculty or staff will join beekeeper/scientist Randy Oliver of Grass Valley in presentations and a tour of the Harry H. Laidlaw Jr. Honey Bee Research Facility and the adjacent bee garden from 1 to 4 p.m. Several education stations will be set up, Mussen announced. Staff research associate Bernardo Niño will discuss various beehive iterations; Randy Oliver will cover how to determine various levels of nosema and varroa infestations; Brian Johnson will explain how to prepare honey bees for the molecular study of Africanized honey bees; and program representative Christine Casey of the department's bee garden, the Häagen-Dazs Honey Bee Haven, will discuss planting for a bee garden and garden maintenance. Casey also will lead a tour of the haven at 9:30 a.m. on Wednesday, Sept. 6. “The Haven is a unique outdoor museum designed to educate visitors about bees and the plants that support them," she says. "Tour participants will see some of our 85 bee and 200 plant species, learn about our outreach and research programs, and gain ideas for their own bee gardens." Other tours are to Mann Lake facility and Z Specialty Foods, both in Woodland. Honey Tasting: Amina Harris, director of the Honey and Pollination Center at the Robert Mondavi Institute of Wine and Food Science, UC Davis, will lead a moderated honey tasting at 11 a.m. on Wednesday, Sept. 6. The event is titled “Taste the Honey Flavors of the West: How Understanding the Nuances of your Honey Can Help You Market your Perfect Sweet.” Said Harris: "Basically I plan to discuss the diversity and life styles of non-Apis bees to show how different most are from honey bees." Memories: The founders of WAS will discuss "how it all began" from 8:45 to 9:30 a.m. on Wednesday, Sept. 6. 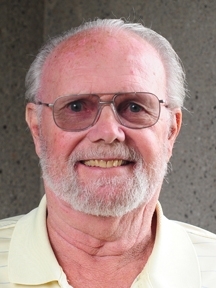 The organization, founded at UC Davis, was the brainchild of Norm Gary, then professor of apiculture (now emeritus), who served as the first WAS president. 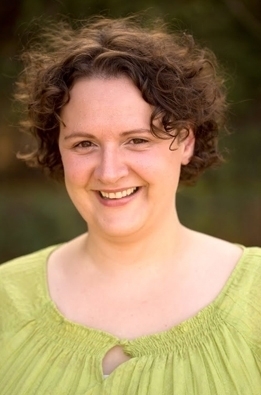 Assisting him in founding the organization were Eric Mussen, then an Extension apiculturist who was elected the first WAS vice president; and postdoctoral fellow Becky Westerdahl, now a nematologist in the department, who held the office of secretary-treasurer. Participants may register for one or both courses, according to Extension apiculturist Elina Niño, who is coordinating and teaching the courses with Bernardo Niño and colleagues at the Harry H. Laidlaw Jr. Honey Bee Research Facility. Each course will take place from 9 a.m. to 5 p.m. at the Laidlaw facility, located on Bee Biology Road, west of the central campus. The maximum number of participants per course is 25. Lecture modules will cover honey bee biology, beekeeping equipment, how to start your colony, and maladies of the hive. Practical modules will zero in on how to build a hive, install a package, inspect a hive and monitor for varroa mites. Participants will have the opportunity to learn about and practice many aspects of what is necessary to get the colony started and keep it healthy and thriving. At the end of the course, participants "will be knowledgeable about installing honey bee packages, monitoring their own colonies and taking on possible challenges with maintaining a healthy colony." The $95 registration fee covers the cost of course materials (including a hive tool), lunch and refreshments. 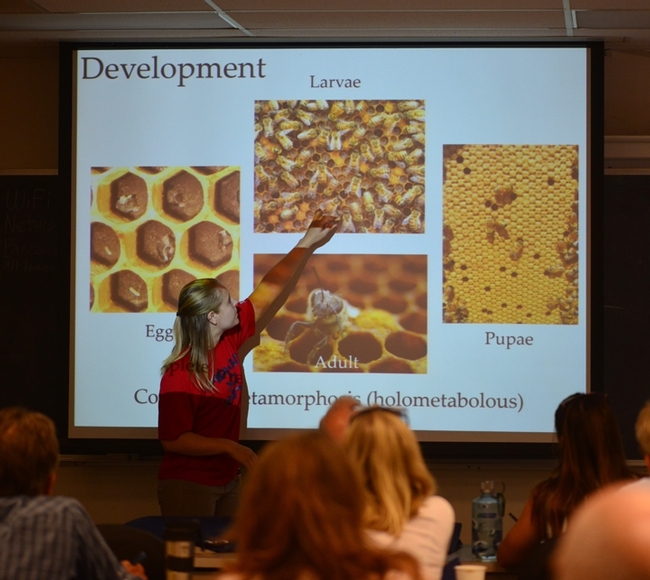 Lecture modules will include advanced honey bee biology, honey bee integrated pest management and products of the hive. Practical modules will cover queen wrangling, honey extraction, combining colonies, splitting colonies and monitoring for varroa mites. The $150 registration fee covers the cost of course materials, lunch, and refreshments. For each course, participants are asked to bring a bee suit or veil if they have one (the lab has a limited number). Lodging is not provided. For more information on registering for the short courses, contact Bernardo Niño at elninobeelab@gmail.com or (530) 380-BUZZ (2899). See lab's Facebook page. DAVIS--If you want to become a beekeeper, improve your beekeeping skills. or learn how to rear queens, enrollment is now underway for several courses taught by bee scientists at the Harry H. Laidlaw Jr. Honey Bee Research Facility, University of California, Davis. The first course begins Saturday, Feb. 13. Course instructors are Extension apiculturist Elina Lastro Niño; staff research associate Bernardo Niño; facility manager/staff research associate Charley Nye; and graduate student Tricia Bohls. All courses, open to the public, will be taught at the Laidlaw facility, located on Bee Biology Road, west of the UC Davis central campus. “Queen-Rearing Techniques” with two separate sessions: Saturday and Sunday, March 12-13 and Saturday and Sunday, March 19-20. This course is for beekeepers who want to learn how to rear their own queens or learn bee breeding. “Planning Ahead for Your First Hives”: This Feb. 13th course will include lectures and hands-on exercises. “This course is perfect for those who have little or no beekeeping experience and who would like to obtain more knowledge and practical skills to move on to the next step of owning and caring for their own honey bee colonies,” said Elina Niño. Lectures will cover honey bee biology, beekeeping equipment, how to start your colony, and maladies of the hive. Hands-on exercises will cover how to build a hive, how to install a package, how to inspect your hive, and how to monitor for varroa mites. Participants will learn what is necessary to get the colony started and keep it healthy and thriving, she said. By the end of the course, participants will be knowledgeable about installing honey bee packages, monitoring their own colonies and maintaining a healthy colony. The $95 registration fee covers the cost of course materials (including a hive tool), lunch, and refreshments. “Working Your Colonies”: This Feb. 20th course is for novice beekeepers who already have a colony and/or have taken a previous course, and seek to develop their skills. The afternoon will be spent entirely in the apiary with hands-on activities and demonstrations. Lectures will cover: maladies and biology review, products of the hive, and troubleshooting problems in the colony. Hands-on information will encompass colony evaluations, monitoring and managing pests, feeding your colony, and honey extraction.By the end of the course, participants will be knowledgeable about evaluating colonies, solving common beekeeping problems, extracting honey and wax, trapping pollen and propolis, and treating colonies for pests, the instructors said. The $150 registration fee covers the cost of course materials, lunch, and refreshments. “Queen-Rearing Techniques”: Each of the two sessions, March 12-13 and March 19-20, will include lectures, hands-on exercises. Topics will include honey bee queen biology, basics of selective honey bee breeding programs, various queen-rearing techniques, testing hygienic behavior, and assessing varroa mite levels. Participants will have the opportunity to learn about and practice multiple methods for queen rearing. “We will go through a step-by-step process for queen rearing via grafting, including setting up cell builders and mating nucs,” Elina Niño said. At the end of the course, participants will be able to check their grafting success and local participants can take home queen cells from the workshop. They also will learn techniques to assess varroa mite loads and to evaluate hygienic behavior. Each session also will include a guided tour of the adjacent Häagen-Dazs Honey Bee Haven, a half-acre bee friendly garden that attracts many pollinators and is filled with art from the UC Davis Art/Science Fusion Project and entomology/art classes taught by Diane Ullman and Donna Billick. The $350 registration fee for each queen-rearing session covers the cost of course materials (including a set of grafting equipment: grafting frame with bars, plastic queen cups and a grafting tool), breakfast, lunch and refreshments on the days of the short course. All participants in the Feb. 13-March 20 courses should bring their own bee suits or veils. They are also responsible for obtaining their own lodging. See map for directions. For more information, contact Bernardo Niño at elninobeelab@gmail.com or call 530-380-BUZZ (2899). 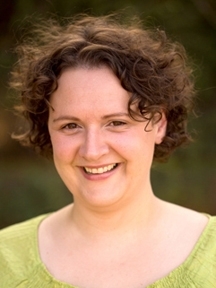 The Niño lab website is at http://elninobeelab.ucdavis.edu/, and the Facebook page at https://www.facebook.com/elninolab/. The bi-monthly apiculture newsletter, written by Elina Niño, is online.